Ardor is a Blockchain-as-a-Service (Baas) platform that was launched in October 2016 by Jelurida. It is a second-generation blockchain that evolved from the Nxt platform and improves upon its predecessor in functionality and scalability. Ardor was designed from scratch to serve as a platform for much more than simple money transfer transactions. It supports listing and buying of digital goods, creation of custom currencies, trading of user-created tokens, decentralized crowdfunding, a voting system, conditional transaction execution, messaging, account properties, and many other features. Ardor has its own cryptocurrency called the Ardor token (abbreviated ARDR). ARDR uses a proof-of-stack consensus algorithm, which is an eco-friendly algorithm that doesn’t require an enormous amount of computational power to run. In fact, there isn’t any ARDR to mine. The maximum available supply of the tokens (1 billion) is already in circulation. There is a maximum available supply of 1 billion ARDR tokens and all of them are currently in circulation. As of December 2017, ARDR’s market cap reached $708 million USD with a 24-hour trade volume of $15 million USD. The value of ARDR was $0.708 and Ardor ranked 26th in the top 30 crypto assets by market capitalization. Multiple child chains: Nxt works as a single blockchain and users who desire a custom blockchain have to “clone” Nxt and create a completely separate blockchain that’s not connected to the original. Ardor functions as a parent chain that can have multiple child chains. Transactional tokens: Nxt uses its coin (abbreviated NXT) as the basic unit of value in all transactions, and also to establish consensus and provide security. ARDR is only used to establish a consensus and provide security for the parent chain and all its child chains. Child chain coins are used as basic units of value. Transaction fees: Nxt requires all transaction fees to be settled in NXT. Ardor lets each child chain pay transaction fees using the native coin of that chain. Users don’t need to own Ardor tokens to pay fees. Feature inheritance: All of Ardor’s features are inherited by each child chain. Users can also choose to restrict certain features on their custom chains. Coin exchange: Ardor features a coin exchange that allows trading of child chain tokens and ARDR. Asset dividends: Nxt requires all asset dividends to be paid in NXT only. Ardor allows dividends to be paid in any of the child chain tokens. Pruning: Nxt allows the pruning of tagged data, and encrypted and plain messages, but pruned data can be retrieved on demand from node archives. Ardor has inherited this feature and expanded it to include transactions on child chains. Transactions on child chains can be pruned after they are no longer needed so they won’t be downloaded by every new node. Scalability: Transactions are stored permanently in the Nxt blockchain and would have to be re-downloaded and re-processed by every new node, which would cause a significant bottleneck after years of operation. Transactions on Ardor’s child chains can be pruned completely without affecting security. A new node only needs to download the parent chain’s transactions, followed by the latest snapshot of the current system state. Ignis will be Ardor’s first child chain. It will test the platform’s potential as a decentralized BaaS solution. All existing Nxt blockchain features will be inherited by Ignis in addition to Ardor platform specific enhancements. Ignis will use IGNIS tokens for its operation. Jelurida sold half of the available supply of IGNIS tokens during an ICO that ran from August to November 2017. The ICO generated $15 million USD, which will be used for further development, advancement, and marketing of the Nxt and Ardor blockchain platforms. The remaining IGNIS tokens will be distributed as a free airdrop to all NXT coin holders based on their account balances at a ratio of 0.5 IGNIS per 1 NXT during the last week of December 2017. Ignis is scheduled to go live a week later on January 1, 2018. Ignis marks the beginning of a new era of easy-to-implement blockchain solutions for businesses. Any business can use Ardor to install and implement a child chain with tested features available out-of-the-box without coding or programming knowledge. Contact Jelurida directly for more information. Side chains are a common fixture in modern blockchain platforms, so what makes Ardor’s child chains so special? Structure: Side chains are independent blockchains are usually “pegged” to the main blockchain, but need their own network security and block processing power. Ardor’s child chains are tightly integrated into the parent chain. All transactions are processed and secured by the parent chain. 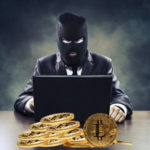 Risk: Side chains are responsible for their own security and can be hacked if there aren’t enough miners to secure the network. Child chains are much less likely to get hacked because they rely on Ardor for their security. ARDR can be acquired from many exchanges, including Changelly, Bittrex, Poloniex, and HitBTC, in BTC, NXT, and EUR trading pairs. Jelurida recommends storing ARDR in the Nxt core client that can be downloaded from Nxt.org. There are versions available for Windows, Linux, and Mac OS X. There is also a mobile version of the wallet available for Android. iOS is not supported at the moment. Ardor has caused a stir in the crypto community because of the upcoming launch of Ignis. ARDR tokens are currently very liquid and can easily be traded for other crypto coins. The value of ARDR has maintained a steady upward trajectory since its launch in 2016, and it looks like that trend will continue into 2018 as the Ardor platform finally goes live.